I love that song. It makes me happy I found an excuse to use it on the blog. Thanks Open Hillel! In a dystopian twist, the latest development in the attack on open discourse by right-wing pro-Israel groups appears to be the use of robots to police academic discourse. At a March 3, 2016 event about Palestinian citizens of Israel sponsored by Middle East Studies at Brown University, a robot attended and accosted students. The robot used an iPad to display a man from StandWithUs, which receives funding from Israel’s government. The robot wore a suit and tie, and had an iPad in the place of its head, which displayed the StandWithUs employee. The man who appeared on the iPad told questioners that he worked for StandWithUs. The robot was accompanied by a man identified by event organizers as also affiliated with StandWithUs, and the two spoke together in Hebrew. 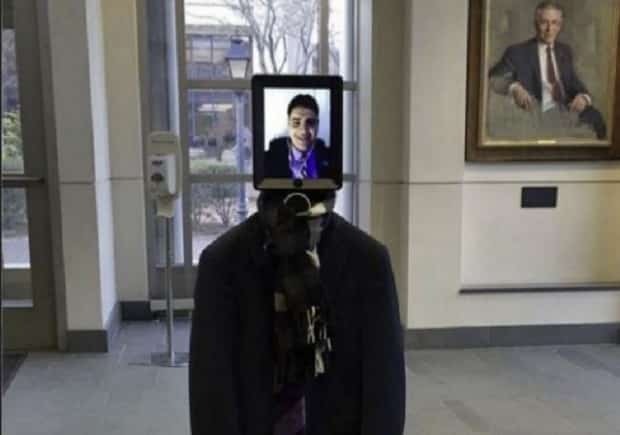 Students believed that the technology being used was a “Double Robotics Telepresence Robot for iPad Tablet from Brookstone, which retails at $2,299.99. It is unclear at this time whether the individual that brought the robot was a student or professional employee of StandWithUs. It is not yet known whether this was the first use of a robot to monitor Israel-Palestine discourse on campus. It is no coincidence that a right-wing organization would deploy the newest form of surveillance at an event sponsored by Middle East Studies at Brown University. In October, the department announced an inaugural Palestinian Studies fellowship and it annually sponsors a conference titled “New Directions in Palestinian Studies.” Upcoming events include a lecture about Gaza and the architecture of Palestinian refugee camps. The department, it appears, is being targeted because it is promoting the study of Palestine and Palestinians. Open Hillel opposes the attempts of groups like StandWithUs to monitor students and faculty. As a student-led grassroots campaign supported by young alumni, professors, and rabbis, Open Hillel rejects any attempt to stifle or target student or faculty activists. The use of robots for purposes of surveillance endangers the ability of students and faculty to learn and discuss this issue. 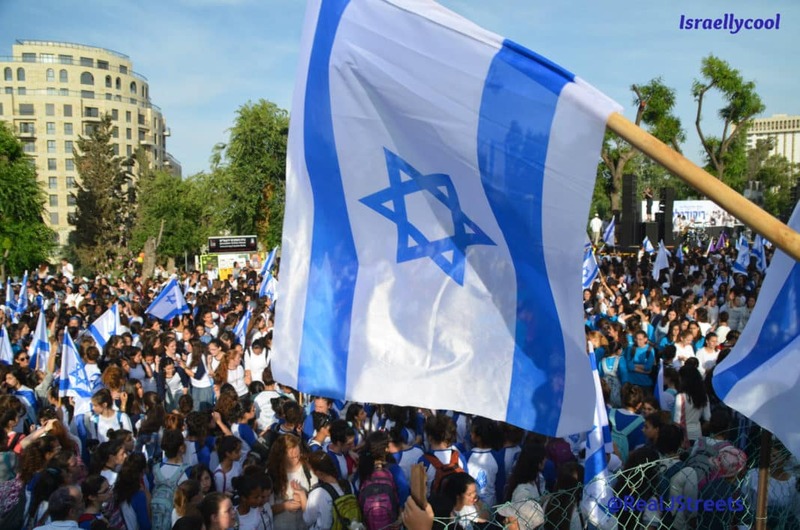 We call upon outside groups such as StandWithUs to conduct themselves in accordance with the academic principles of open discourse and debate. The blog Jewschool goes even further, calling it a drone. Which is ironic, given the monotonous nature of that site. I’m afraid there’s been some mistake in your report. I’m the co-founder of Tele-Buddy – a company that brings robots everywhere so that people will be able to log into them and share their opinions. A few days before the event, I contacted Prof. Beshara Doumani (the organizer) and asked for permission to bring a Israeli using the robot. He confirmed, saying that the event was open both for human beings and robots. I also promised that since the robot can (and should!) be used to enrich any discussion, I would be happy to host another person who couldn’t come with his/her biological body in the next panel: whether it is a Palestinian, a Chinese, a North-Korean or anyone. The robot can serve such valuable purpose for all debates and panels! Anyway, Mr. Shahar Azani from StandWithUs took control over the robot in the event. I can personally testify that he absolutely did not “harass” anyone. He talked with people, and if they didn’t talk back – he just went on talking with other people. It was fun, and people took pictures and were interested to hear about Shahar and the robot. As for surveillance or Israeli support for this venture: you’re absolutely wrong. 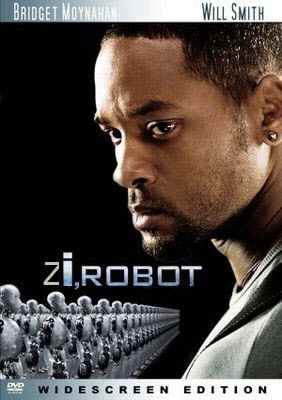 No footage of what the robot ‘sees’ is being saved anywhere, and the Israeli government has absolutely no connection to this use of the robot. It was strictly my idea, and I stand behind it: if we can enrich debates with more points of view, to reach more meaningful insights about the future, how can we allow ourselves not to do so? I’ll be back in Providence next week, and would be happy to meet with you (with or without the robot) and discuss the event and the way you see it – and how we can all make better use of the robots in future events, with or without connection to the Israeli or the Palestinian issue. Which just goes to show, just because your’e paranoid, doesn’t mean there is a Zionist hiding underneath your bed.